Cotton Print Project Bags in Large and Small Sizes - above - Hoy! 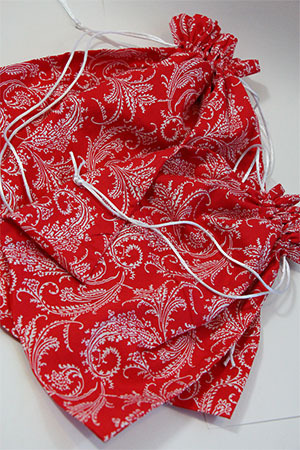 Beautiful cotton prints save your fabulous projects from the zip lock! Cinch the top and let your yarn feed effortlessly as you knit away! Discounts will be applied to this item at checkout!